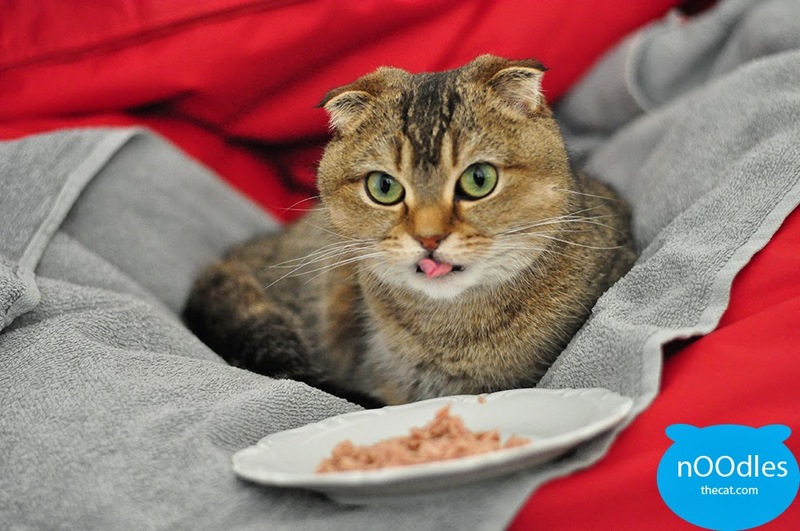 I IZ NOODLES THE CAT: Breakfast in bed, because it's Caturday! Breakfast in bed, because it's Caturday! The humanz surprised with some tuna in bed. That is what I call service!